Phoenix Contact's offering in push-in products sets a new industry standard for electrical installation. These easy-to-wire products ensure quick and reliable wiring times for all wire gauges (26-3/0 AWG). Utilizing tool-free wiring makes this technology straight forward, universal and error proof. The integrated button enables easy release of the connected wire with the use of any tool. 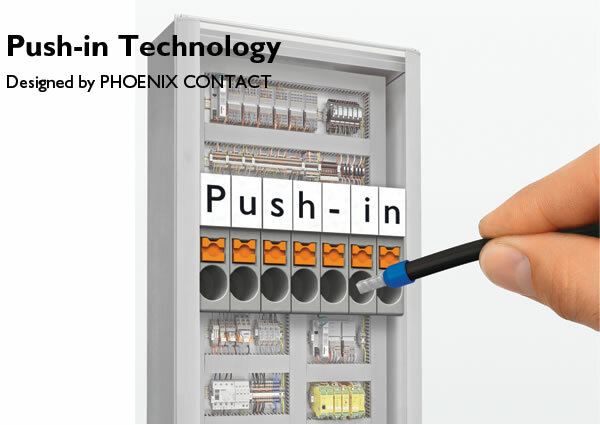 With Phoenix Contact's line of push-in products, you can reduce your installation time by 30%.